Seriously look I saw the ad i immediately tried downloading it I had to delete a lot of my best apps to find out I have to pay IN APP i deleted it and then I started downloading my apps back for my all progress lost in my other apps maybe in ur ADS put 7.99 a month instead of in the Ad put FREE I’m not hating the app looks AWESOME it’s just maybe put a heads out next time and i didn’t have to waste my progress in my other games and sorry if I don’t put good grammar I’m not the best when I’m typing but yea still hopefully ur next game if it’s in game cost then put a heads up I’m pretty sure I’m not the only person surprised by the in game cost purchase and maybe in the future if I pass all my 6th grade s.o.l s then maybe I can convince my parents but I already asked for the 7 dollers a month realm thing on minecraft so maybe 7th grade idk but yea plz plz plz plz plz plz put a heads out that’s all I have to say I’m going to band so in the ad I like the music so maybe my parents would get it for. Me but it’s a big if and bye have a good day (PUT A HEADS OUT NEXT TIME ). Hello, thanks for dropping us a line! 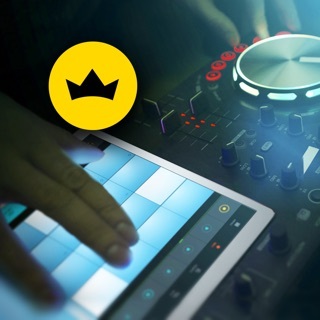 Premium subscription as well as the Free trial are not the only ways you can choose to experience Beat Maker Go. Alternatively, you can continue playing, with limited features, for free! You can access all of our free features by closing the subscription banner. If you have any further queries, we'll be happy to assist you at support@gismart.com. All packs, advanced FX and voice rec. NO ADS!